As hard as it may sound for Chelsea fans, Mikel John Obi was the creative force behind last year’s Africa Cup of Nations triumph in South Africa. Having been hailed as the successor to Jay-Jay Okocha a decade ago, the 27-year-old had become used to being ridiculed in his homeland for an increasingly defensive approach. All has now been forgiven and – free from the constraints of José Mourinho’s bus – Mikel’s big moment may have arrived. Known as The Big Boss, Keshi is reminiscent of a middle-aged Obi-Wan Kenobi for possessing an unwavering belief in his own ability. The decision to resign within 24 hours of the Africa Cup triumph before performing a U-turn showed the sort of balls required to survive repeated battles with the prickly NFF. Drawn for the second time against Argentina, Nigeria will be looking to improve on a pair of timid 1-0 defeats in their final Group F match in Porto Alegre. The opening match against Iran will also carry an interesting subtext – Nigeria’s pro-Iranian Shia Muslim community was virtually non-existent 30 years ago but now comprise about 5% of the country’s 80 million Muslims, with close ties remaining between Tehran and the Islamic Movement in Nigeria. Located 96km from São Paulo in one of Brazil’s oldest cities, the Vitória Hotel Concept in Campinas has four restaurants, 253 rooms and a heliport. That could come in handy when the issue of player bonuses inevitably rears its ugly head. Won the Cup of Nations this year and were unbeaten in six group games before a 4-1 aggregate victory over Ethiopia in the two-legged play-off which owed a debt of gratitude to the fine form of Lille’s unbreachable goalkeeper Victor Enyeama. Eighty-eight minutes into their round of 16 match at their debut tournament in 1994 against 10-man Italy, Nigeria were 1-0 up until Rip Van Baggio at last awoke and equalised with a superb shot and then scored the extra-time winner from the spot. 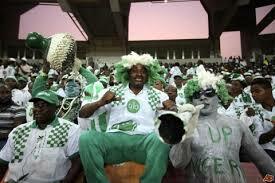 Two defeats, one to Greece, and a draw in 2010 enraged Nigeria’s president, Goodluck Jonathan, to such a peak of Rumpelstiltskin rage that he banned the team from playing international matches for two years before backtracking a week later. Kenneth Omeruo (Chelsea) and John Obi Mikel (Chelsea), Victor Moses (Chelsea), Shola Ameobi (ex-Newcastle United), Peter Odemwingie (Stoke City). Chaotic organisation, defensive indiscipline, John Obi Mikel doing his Ray Wilkins crab-dance and flash, amusement arcade forwards more interested in winning goal of the tournament than the golden boot. Excellent goalkeeper, industrious and mean defence, Mikel less inhibited and betraying hints of why Chelsea fought so hard to get him and a dangerous, bullocking forward in Emmanuel Emenike. 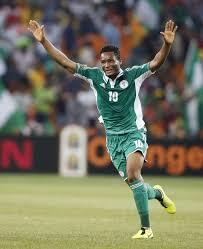 The key to Keshi’s success since taking over the Super Eagles in 2011 has been managing to get the best out of Mikel. Deployed in a more advanced role than he is used to for Chelsea, Nigeria have long abandoned 4-4-2 and play a variation of 4-2-3-1 or 4-3-3, with Lazio’s Ogenyi Onazi providing the bite alongside Mikel and Africa Cup hero Sunday Mba offering support. Victor Moses, Emenike and a potential recall for Odemwingie could make for an exciting front three. A breezy, Ronnie Hazlehurst-esque 55sec. Green and white face-paint, green and white Harpo Marx wigs, green and white clothes. Think Plymouth Argyle or retro, spearmint-flavoured, sickly confectionery, Pacers, formerly Opal Mints. One sixth of Africa’s population lives in Nigeria. Ameobi scored as many England Under-21 goals (seven) as Jermain Defoe. 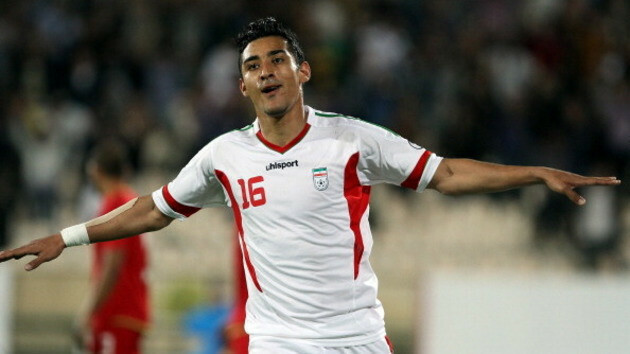 Reza Ghoochannejhad – Gucci to his Charlton Athletic team-mates and those who struggle with tongue-twister surnames – suggested he could solve the country’s goalscoring woes when he struck nine times in his first 11 matches after making his debut in qualifying. Technically deft and endowed with a terrific shot he represented Holland at youth level, his parents having moved to the Netherlands when he was a child. The Persepolis midfielder Mehrdad Pooladi underwent surgery on the little finger of his right hand after the mother of all hissy fits on being substituted in the first half of an Iranian league match in October 2012, smashing a glass door in frustration. Carlos Queiroz didn’t immediately endear himself to certain sections of the Iranian hierarchy by appointing an American assistant manager but an impressive qualifying campaign featuring some public taunting of South Korea has made him a popular figure. First and foremost, the Great Satan. Iran’s one finals victory was arguably the most politically charged in Word Cup history – the “mother of all games” meeting with the United States in 1998 staged in Lyon and it ended up 2-1 to Iran and cue the mother of all celebrations. But rivalry with South Korea took a bitter twist during the latest qualifiers, when the then-Korea manager Choi Kang-hee bemoaned “bad treatment’ by the hosts after his team lost in Tehran. When the teams met again in Korea, Quieroz pinned a photograph of Choi to his shirt and wore it throughout the buildup. 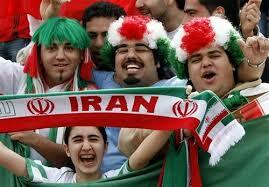 When Iran won again, Quieroz turned to a make an up yours gesture to the Korean bench. Iran will use Corinthians’ training ground in São Paolo and have persuaded the club’s general manager, the former Arsenal midfielder Edu, to help run the sessions. Fitness tips may be harder to find at their hotel in the city of Guarulhos, which means “big-bellied people” in the Tupi language. Beat South Korea to top spot in Group A in the AFC region beating them home and away in the process, with the match in Tehran played in front of a crowd just shy of 100,000. 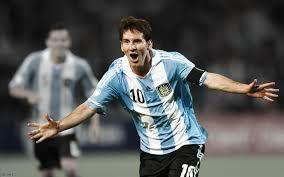 It will be hard to beat the 2-1 victory over the ‘Great Satan’ USA in Lyon in 1998. A 1-1 draw with Scotland at the 1978 World Cup was sandwiched between comprehensive defeats to Netherland and Peru which well and truly burst the bubble of reaching the finals for the first time. A team fuelled by hatred of the West and roared on by fans burning American flags. A mild-mannered bunch of footballers listening to bad music on oversized headphones just like everyone else. Long enough for the players to shed a tear or two. Green. White, Red. Everywhere. Your face, your hands, your clothes, your hair. Get it on there. Ayatollah Ali Khamenei has seen 23 managers come and go during his time as Supreme Leader. Puts Roman Abramovich’s hiring and firing into perspective. Manchester City’s Edin Dzeko, 33 goals in 60 internationals, is an obvious figurehead, but the playmaker Miralem Pjanic is key. A lovely attacking playmaker, one for the purists, and provides excellent service to Dzeko and Stuttgart’s Vedad Ibisevic. The Bosnian FA. Fifa briefly (2011) banned the Bozzers from international football for refusing to nominate one, rather than three, FA presidents. Safet Susic has the whole country behind him after masterminding dynamic, exciting qualifying charge that saw the Dragons bang in 30 goals. The collapse of Yugoslavia and resultant Bosnian war from 1992-95 would suggest a crack at Croatia might reflect local political tensions but a run of World Cup misses features one side twice: Portugal – play-off defeats before the 2010 World Cup and Euro 2012, with the second-leg of the latter tie lost 6-2 – are Bosnia’s bogeymen. Dramatic final match day saw them finish level on 25 points in group G, but bested Greece on goal difference to qualify automatically. This! 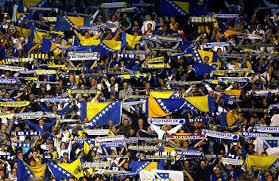 The young nation of Bosnia-Herzegovina is mighty proud as its talented team heads to its first World Cup. Losing to Portugal in the play-offs to qualify for 2010 (Portugal repeated the dose in the euro 2012 qualifying play-off as well). Asmir Begovic (Stoke City), Edin Dzeko (Manchester City). Fair to say that most English football fans will be unburnt by preconceptions about Bosnian team. Probably more skilful than our mob. Modern, sophisticated team with genuine attacking élan, top-class goalie. Inspirational skipper in defender Emir Spahic. The coach says his “tactical gamble” – playing all his star forwards at once in a flexible 4-1-3-2 – is for the good of the game. “When you have players such as these, it would be unfair to the fans, to the sport itself, not to unleash all our talent.” It worked in qualifying: 30 goals scored in 10 games. One minute 40, and it sounds quite like ‘In The Bleak Midwinter’. Blue and yellow are the order of the day. 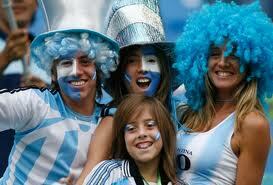 Support of team has been a major touchstone of new nation’s identity. The highest peak in Bosnia and Hercegovina is Maglic Mountain. It is not believed to have Maglical properties.